Dear Oppo, What Should I Do To The White Whale? 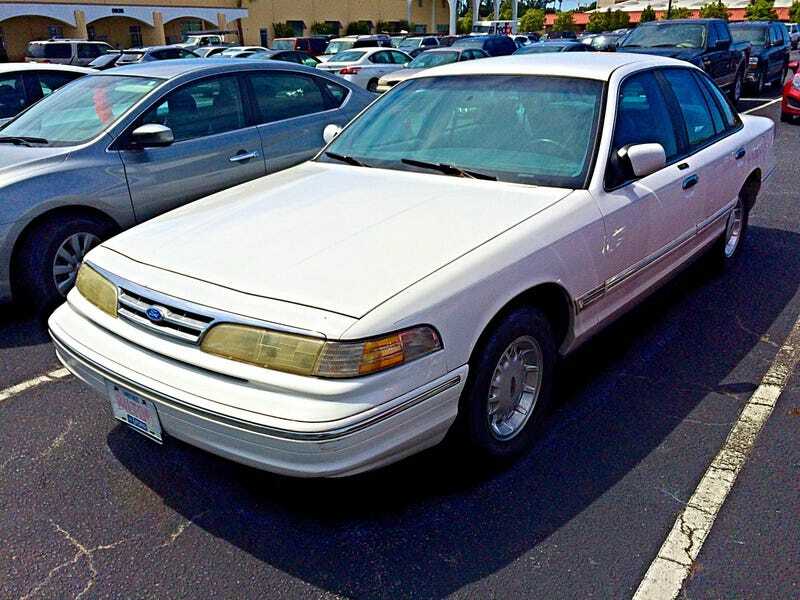 I’ve had this ‘97 Crown Vic LX (not P71) in my possession for about a year now. Up until this point, it has been restricted to just commuting to and from work, and the occasional weekend errand with the wife has other stuff to do. It currently has a tick over 24ok, miles on the clock. Recently serviced with an oil change, new spark plugs, new air filter, and a few bulbs being replaced. I also had it inspected and found that it needed a coolant system flush, transmission flush, new drive belt, new ball joints, and new rear brakes. All easy stuff I can do on my own, and plan to do over the coming month or two. I enjoy driving it as is since it’s just my daily, but I’m getting that itch to modify. But what can you really do to modify a Crown Vic and not turn it into some heinous donk on 26"s that renders it pretty undriveable, or on the flip side, turn it into a cop car wanna be? I’m just trying to think of things I can do with this car to make a little more fun to drive and make my daily commute a little more enjoyable. Suggestions from outside of Oppo so far have been train horn (not legal), fire truck horn (not siren, but still probably not legal), and straight pipes with side exit and slash cut tips, just to name a few. Obviously, I’m open to many more suggestions, so fire away!